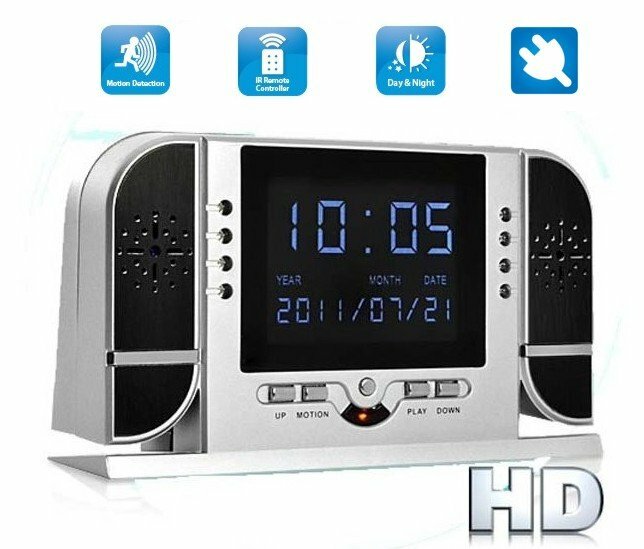 Alarm clock camera with LCD + Motion Detection + 8 IR LED - this unique camera in an alarm disposes with own LCD display. 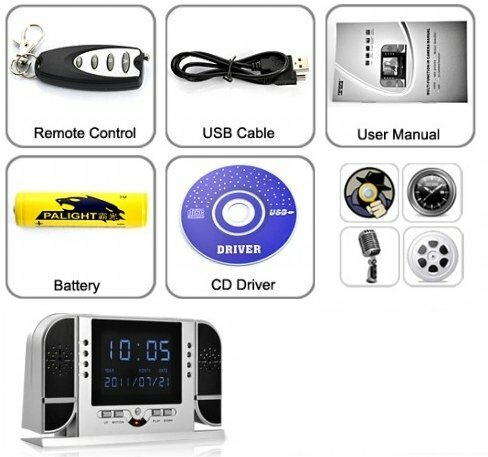 Alarm clock camera with LCD + Motion Detection + 8 IR LED - this unique camera in an alarm disposes with own LCD display on which you can play the records from the camera. Also with 8 powerful IR LEDs for recording of videoat night and with function of motion detection. You will have a remote control for the camera at your disposal. 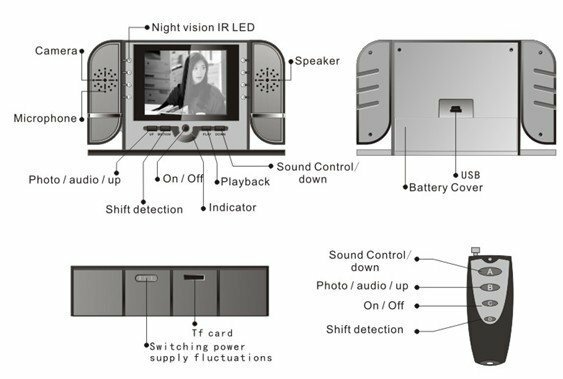 So you can record when you press the record button or set up automatic recording when any motion is detected in front of the camera, or when the camera moves itself. 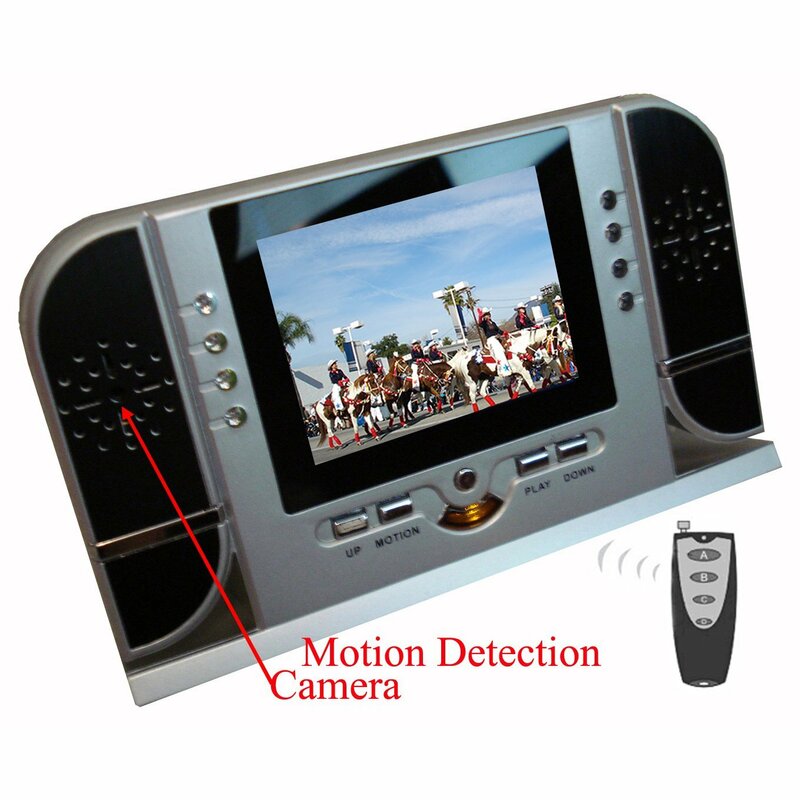 An ideal solution for recording of the interior, exterior or just when you need to check the distortion of space or at the stealing of your things. Built-in accumulator keeps the camera running at continuous recording of video up to 5 hours or audio recordings of up to 20 hours and in standby up to 24 hours. You can record video with high resolution up to 2.0 megapixels. 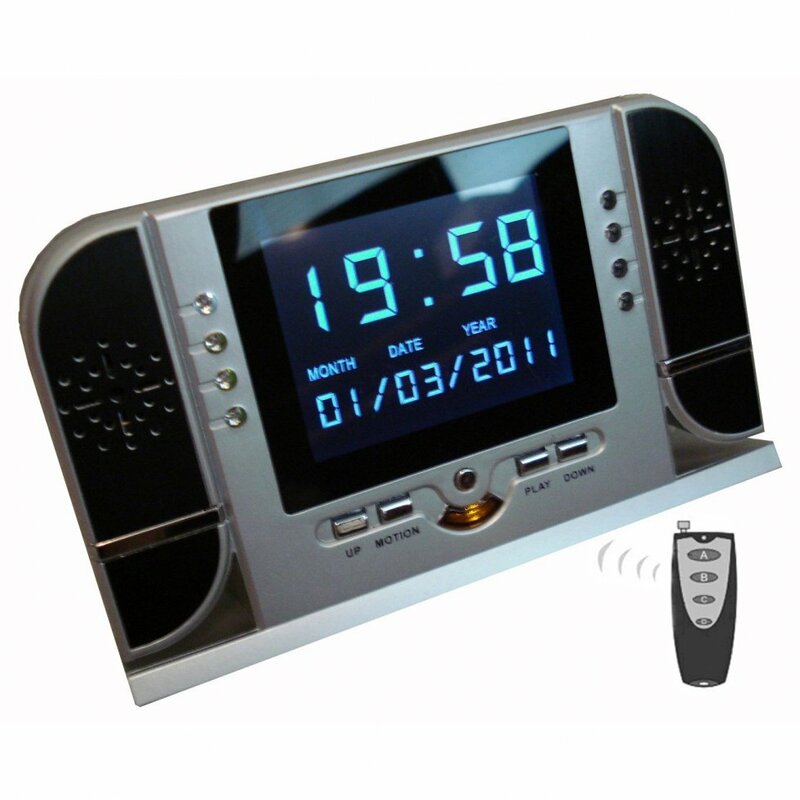 The device is ideal for prevention against the theft and getting of evidence. Recharge is made by connectiion to a computer's USB port or by connection to any USB charger (wall or car charger). 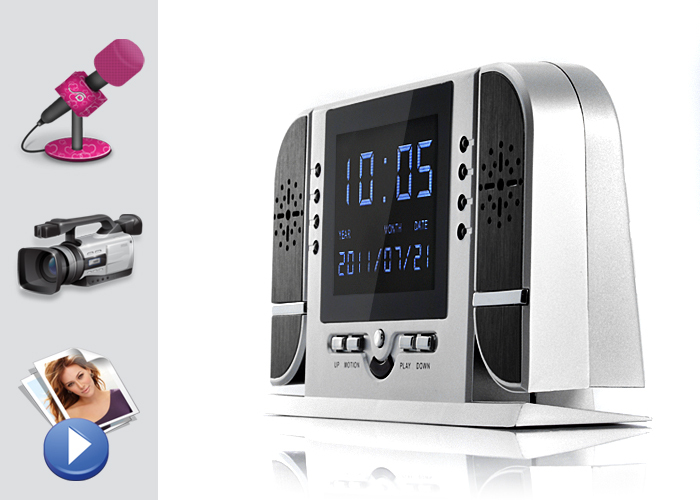 Mini camera in IR LED alarm clock records in mode at 30 frames per second in AVI format at a resolution of 1280 * 720 pixels. The camera can be connected with included USB to PC and cable used as an external disk, which allows you to play records on the computer.